To help raise money to keep the Jubilee Hall going, the Hall Committee runs the popular ‘100 Club’. 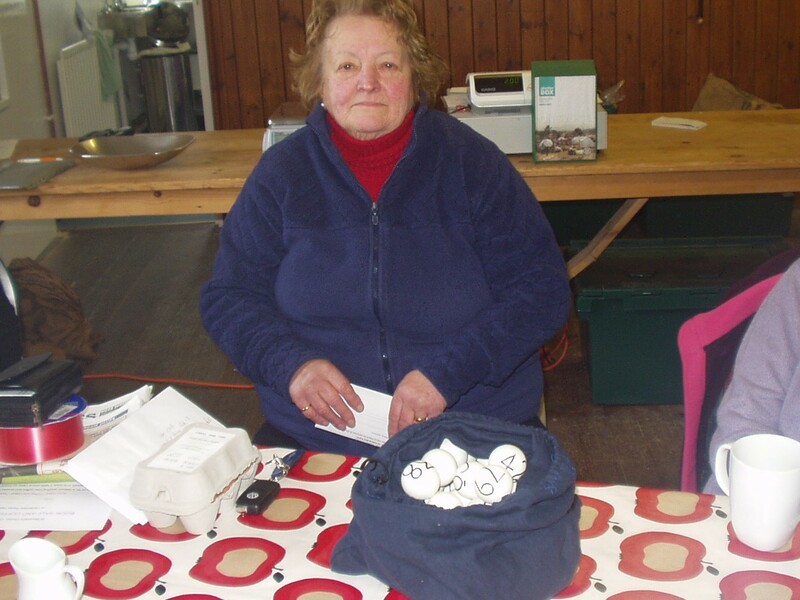 On the third Friday of every month, anyone at the Friday Village Greens shop will see Veronica pop in with her bag of balls (see photo) – and the draw is made. Winners are announced in the M&WL Newsletter, and on this webpage. If you want to join in the fun, and help towards the hall’s running costs at the same time, the subscription is £12 per person for a year. For maximum chances of winning, it’s best to join in March/April; this will cover you from April this year to March next year. Get in touch with our treasurer Jasmina, or fill in the 100 Club Application Form 2017-18, which has all the details. Maximum number of entrants: 100 people. PLease can I fill in a hard copy of the form and leave a cheque at Village Greens this Friday?